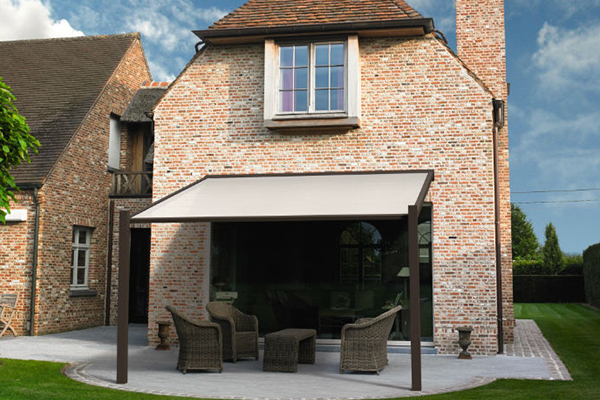 Sun shade system such as motorise louvers and patio covering has grown in demand in the recent years due to the aesthetic quality to complement building style and control functionality over sun, light and rain. 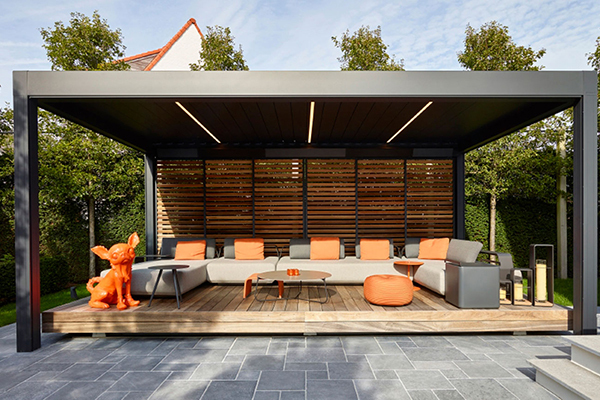 mc.2 exclusive partnership with the world no.1 brand, RENSON®, has brought in the new next generation of sunshade system that offers superior architectural sunshades in form of motorise louvers and patio covering. Besides the performance, homeowner can also now customise the solution by choosing from a variety of option of style, screens and design according to their liking. The motorised louvres is made of extruded aluminum blades and is commonly used on property roof and outdoor roof. 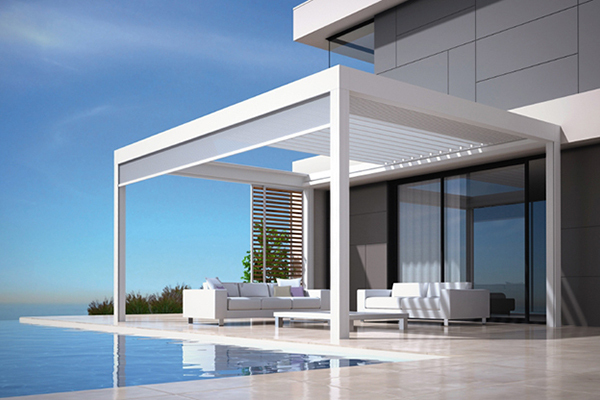 All thanks to the patented RENSON® technology, the louvered canopy is cleverly designed and promotes energy cost saving as the louvers can be rotated to allow filtered light to enter into the house. Besides using it for excellent sun protection and ventilation purpose, the roof is also used to protects your home from rain as it is waterproofs and heavy rain resistance when closed. In addition to the many possibilities of this RENSON® motorised louver, the best is that even when they are opened during heavy rain, you will not get wet because the water will automatically drain off to the side. 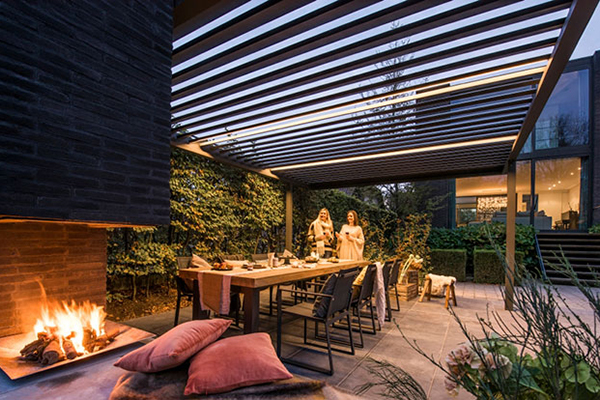 This eye-catching retractable patio covering is one of the latest collections from RENSON®, and dwell on the use of renowned Fixscreen® technology feature. 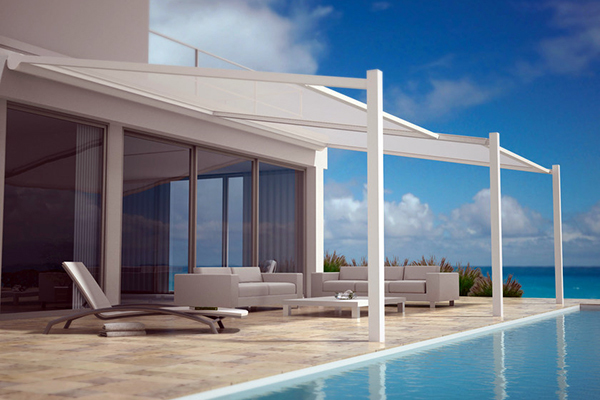 The perfect shading solution is constructed with modular aluminium structure fitted to existing wall and its water and sun resistant roof cover is rest on top of the aluminium columns without obtrusive joints. The completed unit protects homeowners against sun, wind and rains. Rainfall intensity: The Camargue® can process a rainfall with an intensity of 0,04 to 0,05 l/s/m² which lasts max. 2 minutes. This kind of rainfall occurs on average every 10 years. Rainfall intensity: The Algarve® can process a rainfall with an intensity of 0,04 to 0,05 l/s/m² which lasts max. 2 minutes. This kind of rainfall occurs on average every 10 years. 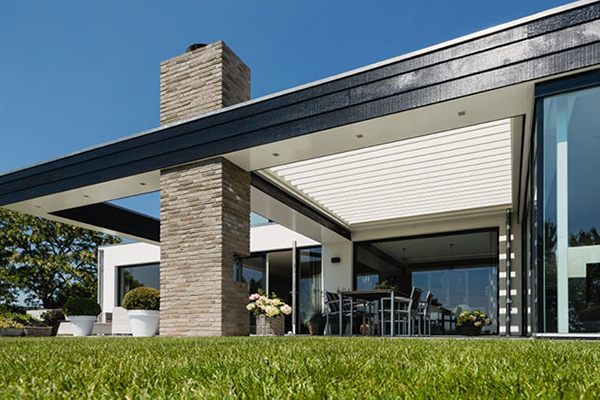 Beside patio covering and motorised louvers system, RENSON® latest collection includes the world first sliding screen known as RENSON® Slidefix®, and other prominent zip blinds solution that can be customised for large panel of windows or roof. To find out more, talk to mc.2 today.